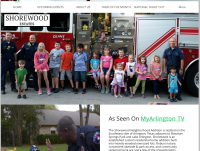 Check out our websites - get customers online today! 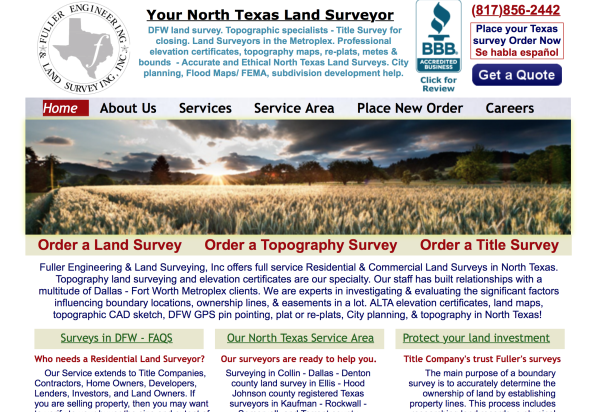 We offer square footage measuring services in the Dallas - Arlington - Fort Worth area. 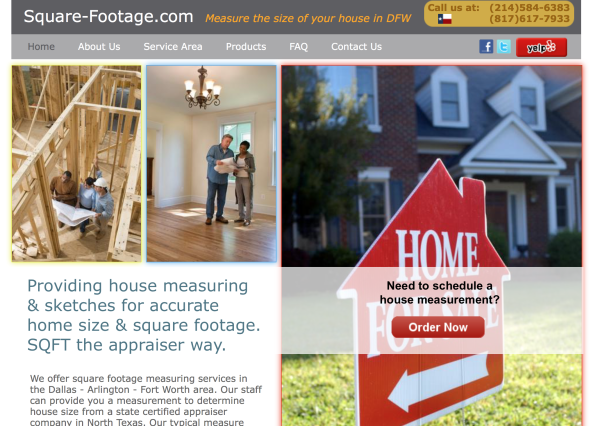 Our staff can provide you a measurement to determine house size from a state certified appraiser company in North Texas. Our typical measure and sketch for home square footage is emailed to you the same day the state certified appraiser company sends someone out to perform the house measuring. We can typically have someone out at your property for measuring within 24-48 hours of speaking with you. 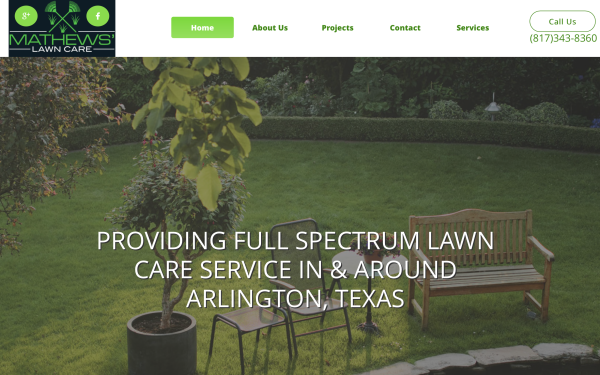 Larrys' Small Engine Repair keeps lawn equipment running with regular service and repair for DFW lawn companies and home owners alike. 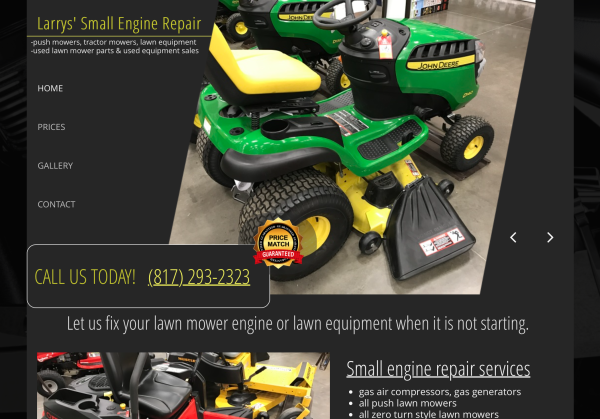 If your lawn mower engine is not starting, your blower is not blowing, or your edger not edging; then trust the professional small engine technitions at Larrys' Small Engine Repair in Forest Hill, Texas to fix your lawn equipment & small engines. No job is too small for Larrys' Small Engine Repair. Trust Larrys' with your mower engines and lawn equipment. If you’re looking for high quality and personal real estate valuation service, then you have come to the right place. At Ted G. Trostel Appraisals we’ll give you the attention and personal service you’ll come to expect and enjoy. Ted has been independently appraising in North Texas for over 25 years. 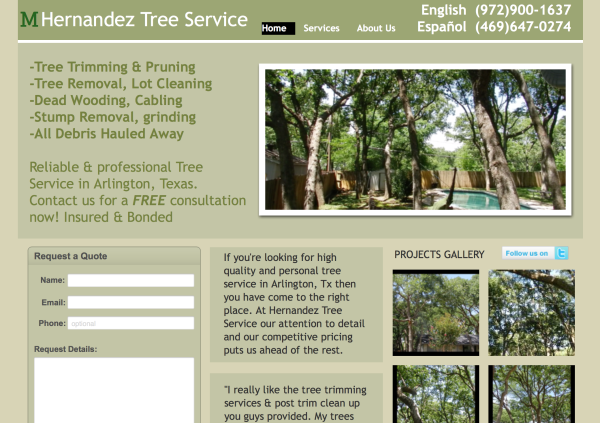 Let us put our energy and experience to work for you in Arlington - Dallas - Fort Worth. 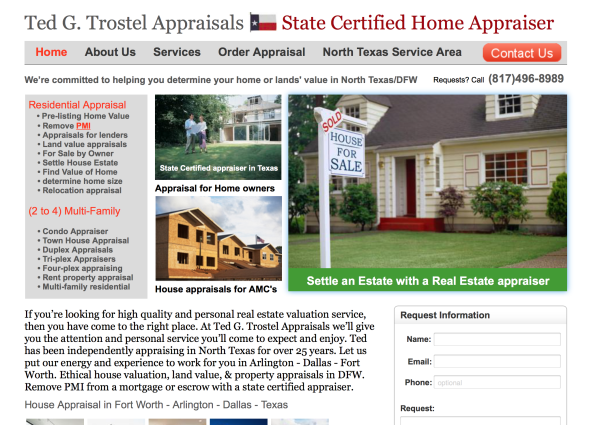 Ethical house valuation, land value, & property appraisals in DFW. Remove PMI from a mortgage or escrow with a state certified appraiser. Our Tax Preparation Professionals will help you with your personal income taxes, business taxation, & general tax help. At Tax Master DFW we give you the attention & personal service you have come to expect. 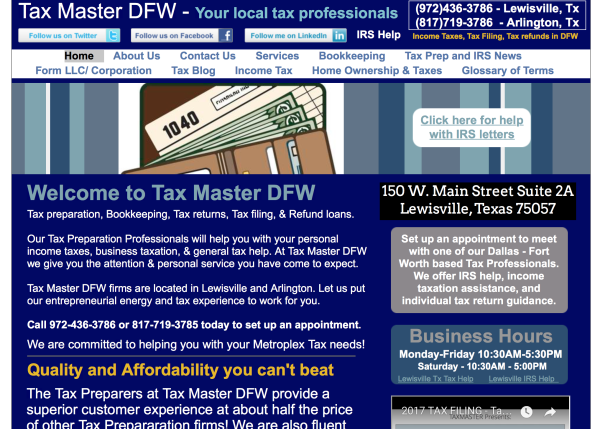 Tax Master DFW firms are located in Lewisville and Arlington. Let us put our entrepreneurial energy and tax experience to work for you. Ensure your lot looks manicured in every season with Mathews' Lawn Care. A lush and beautiful lawn starts with a proper mow, neat edging, and a quality clean up . Let Mathews' give your lot the love and care you will come to expect. Your Bug & Pest free house starts with us! Relax while we appraise your pest & bug scenario then help you decide which action to take to safely rid your property of bugs, ants, termites, pests, and more. 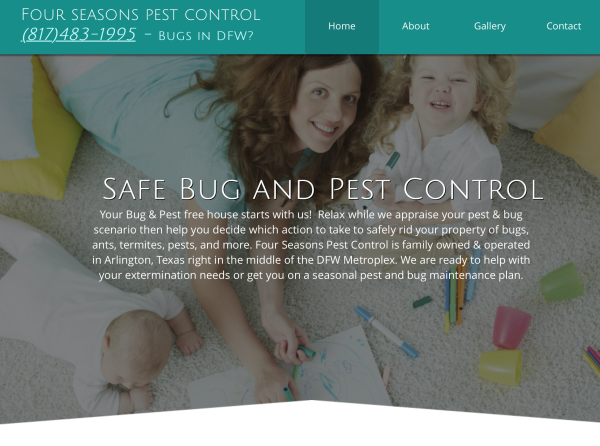 Four Seasons Pest Control is family owned & operated in Arlington, Texas right in the middle of the DFW Metroplex. We are ready to help with your extermination needs or get you on a seasonal pest and bug maintenance plan.